How do our customers use their shipping containers? If you need to know how to organize your home or business with Self-Storage Containers, read on. Or if you need to figure out if a container is right for you, then this page will help you out. People choose self-storage containers in Houston, Texas all the time. It is a way of organizing a home or business and it can be all yours, so you don’t have to spend the money on renting a container at a facility where they could limit your access or even lock you out of the container due to non-payment. You take control of the situation entirely when you choose to purchase a shipping container from us here at Houston Ship Container. You have to decide where you’re going to store the self-storage container in Houston. This could be in your backyard, driveway, or somewhere on the compound of your business. It can even be stored indoors if you have a large garage or a warehouse. It can be stored on dirt or on concrete, so there is no worry of having to create a special landing area for the container. Call us today for your fast and free quote at 713- 960-4930. All of what you have throughout your home or business can be moved into the container for purposes of storage. This can free up significant amounts of space. Your closets won’t have to be overflowing. You can have more room in your basement for the purposes of converting it into living space. And for your business, you can finally have more space for larger amounts of inventory. Size matters. How much do you plan to store? There are 10 foot, 20 foot and 40 foot shipping container options. This can be comparable to a storage unit. Many people find that the 10 foot and 20 foot units are sufficiently sized for them. However, if you are a doom’s day "prepper" or you are storing furniture for several condos or have a significant amount of equipment that you are planning to store within the container, the 40 foot may be the best option for you. It all depends on what you have now as well as what you plan on needing to store in the future. If you plan on adding to the amount within the container, you may want to go larger to begin with so you don’t have to turn around and buy a new container within the next year or two. However, if you don’t need a lot, you don’t need to have a big unit because it may never get full and therefore you are simply wasting a lot of space. If you need to use your container as a maintenance building, or perhaps a feed and tack rooms, you know who to call (us!). So if you're in the market for a mini storage building or an portable emergency response center, give us a ring. Contact us for shipping containers in Houston, TX today. Feel free to call us at 713-960-4930! While some of our customers do prefer to buy a new container, we typically head from people looking for a used container in and around Houston. Some containers we have are actually converted into homes, and those are most often our 40 foot containers --- home containers are very common here in Houston as well as the surrounding areas. For our 20 foot containers, we usually get people looking to use them as storage units because they are very safe and secure. Of course we have people looking for sea freight containers for sale in order to use them as actual shipping vehicles, whether they are sending the box to a location here in the United States or overseas. Equipment storage, tool sheds, portable Offices, and a place to put machinery on a job site are all common used for the containers we have as well. Often times our customers will be interested in buying a container to use it as a welding shop or a warehouse Space, or even just a portable building. 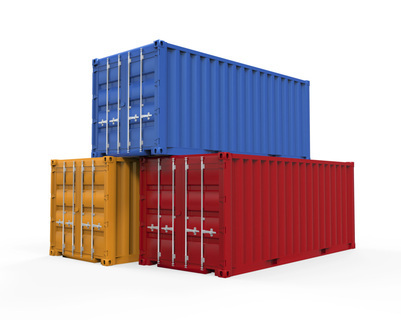 Call us at 713-960-4930 for a quick quote on your container. We are your go to source for containers in and around Houston, Texas. Copyright © 2015 Houston Ship Container, All Rights Reserved.